There are several different ways that healthcare is delivered in Australia. It can be public, private, or a mixture of the two and the quality of health in all is of high quality. The Australian Health Care Agreements (AHCAs) express the commitment of Australian governments to the provision of public hospital services. Known formerly as the Medicare Agreements, the AHCAs provide the basis for the Commonwealth's financial contribution to the provision of public hospital services. This funding is not provided directly to public hospitals but rather, is provided to each State and Territory Government to help fund its public hospital services. While each agreement specifies the amount of funding which the Commonwealth will contribute to each State and Territory for public hospital services, there is no corresponding requirement for the States and Territories to commit to a particular level or amount of funding over and above the Commonwealth's contribution. people should have equitable access to public hospital services regardless of their geographical location. These principles are also enshrined in the Health Care (Appropriation) Act 1998, which gives legislative effect to the Commonwealth's funding commitment. Also included in the agreements is funding for palliative care, mental health and quality improvement. Private health insurance has been another area of contention with regard to the AHCAs. The agreements include provisions (in Part 7) which enable the Commonwealth to adjust the funding for each jurisdiction according to changes in the level of coverage of private health insurance. The relevant clauses provide that funding by the Commonwealth may increase if the level of private health insurance falls by a uniform rate of 1 per cent nationally (an issue which was unresolved under the previous Medicare Agreements). The clauses also provide that funding by the Commonwealth may decrease if the level of private health insurance increases relative to the rate at December 1998. However, following negotiations with the Australian Democrats to ensure the passage of the National Health Amendment (Lifetime Health Cover) Act 1999, the Commonwealth undertook to offer each State and Territory a deal which would ensure that no jurisdiction would be worse off in the event that private health insurance coverage increases above the level at which Commonwealth funding would have been reduced. The nature of the relationship between private health insurance, Medicare and public hospitals is unresolved. In order to stabilize and increase the proportion of the population covered by private health insurance, the Commonwealth Government has embarked on a series of initiatives, the most controversial of which has been the non-means tested 30 per cent rebate. As the number of people covered by private health insurance increases and as existing members upgrade their cover, so the cost of the rebate to the Commonwealth increases. The 2001-2002 Portfolio Budget Statements for Health and Ageing indicate that the rebate will cost the Commonwealth Government approximately $1.9 billion in 2001-02. Critics of the rebate claim that these funds would be better spent on public hospitals but the Government's view is that the rebate has been a successful element of its private health insurance initiatives, which aim to strengthen the private health sector and promote choice for patients. The private health insurance industry is regulated by the Private Health Insurance Administration Council (PHIAC), which releases quarterly and annual data on the coverage of private health insurance by State and Territory. Figures for the September Quarter 2001 indicate that 44.9 per cent of the population is now covered by private health (hospital) insurance, slightly less than the same quarter in the previous year (45.8 per cent). Coverage was last at this level in the 1980s. The PHIAC site also provides links and contact information for private health insurance funds. Circulars and other material of interest to the private health industry can be found on the site of the Private Health Industry Branch of the Commonwealth Department of Health and Ageing. People with private health insurance account for the vast majority of private hospital services. Since the passage of amendments in 1995 to the National Health Act 1953, health funds have negotiated Hospital-Purchaser-Provider Agreements with private hospitals in order to provide their health fund members (who hold an appropriate level of cover) with no or low out-of-pocket costs for hospital charges. The Australian Private Hospitals Association has claimed that as a result of the strong bargaining position that health funds brought to these negotiations, private hospitals had received no real increase in benefits from health funds during the last four years. While applauding the recent increase in the level of coverage of private health insurance, private hospitals remain concerned that their viability is threatened by the bargaining power of some health funds. The two parties have recently agreed to a Voluntary Code of Practice for Hospital Purchaser Provider Agreement Negotiations between Private Hospitals and Private Health Insurers. cognitive, analytical and problem solving skills. It is expected that a graduate of an accredited entry level physiotherapy program would demonstrate the specific attributes. There are nine Standards, each of which covers a key outcome area required from all entry level physiotherapists. Those who studied abroad and are seeking to become a physiotherapist in Australia need to have an assessment of their credentials. The Australian Physiotherapy Council performs assessments of the knowledge, clinical skills and professional attributes of overseas qualified physiotherapists seeking general registration to practice as a physiotherapist in Australia under the National Health Practitioner Regulation Act 2009. One way a physiotherapist who does not hold a qualification approved by the Physiotherapy Board of Australia is to qualify for General Registration is to complete the three part APC Assessment Process described in the diagram below. The first part of the APC Assessment Process requires a physiotherapist to submit an Application for Initial Assessment for Approval to Undertake the Written Assessment and include all documentation specified in the application form. Who can apply for an Initial Assessment? Any overseas-qualified physiotherapist who wants to qualify for General Registration by completing the three part APC Assessment Process can apply for an Initial Assessment. To gain registration, there are two possible options. It appears that as Irish graduates, the optimal way to go about registration is to apply for the second option (Assessment of Equivalence), and if you do not fulfill the sufficient criteria, you will directly enter stage 2 of option 1. 2. Qualification either meets or does not meet criteria. If it meets criteria, issued with APC certificate of Substantial Equivalence and apply for General Registration. If not, approved for Written Assessment (part 2 above). Physiotherapists who hold full registration and a current annual practising certificate issued by the Physiotherapy Board of New Zealand can apply for General Registration directly to the Physiotherapy Board of Australia under the Trans Tasman Mutual Recognition Agreement (TTMRA). The Physiotherapy Board of Australia has established State and Territory Boards to support the work of the National Board in the national scheme. The National Board will set policy and professional standards, and the State and Territory Boards will continue to make individual notification and registration decisions affecting individual physiotherapists. Accreditation of physiotherapy education programs in Australian universities. Provision of advice to Government agencies and the Physiotherapy Board of Australia on relevant matters including health professional standards for accreditation and assessment. The Australian Physiotherapy Association (APA), which has a branch in every State and Territory, is the professional body for physiotherapists in Australia. The APA formulates ethics and policies for the profession and makes representations on its behalf to government and other bodies at national and State levels. The Association is a member of the World Confederation for Physical Therapy (WCPT) and offers professional development programs that are open to overseas qualified physiotherapists. Membership is open to overseas qualified physiotherapists. The population of Australia in 2010 was 22.47 million people.6 Physiotherapists treat musculoskeletal dysfunction. Musculoskeletal dysfunction is defined as conditions of the bones, muscles and there attachments, and joint problems such as arthritis. There are over a hundred various musculoskeletal conditions with osteoarthritis, rheumatoid arthritis, osteoporosis, and back pain among the most common types. These conditions accounted for 31% of the Australian population suffering from one or more of these classifications (AIHW, 2004). There are several groups in Australia with decreased health than the general population due to a range of environmental and socio-economic factors. These are often referred to as priority population groups for health interventions. These include; indigenous people, people in remote areas, socioeconomically disadvantaged people, veterans, prisoners, and overseas born people. Australia’s diverse culture and lifestyle reflect its liberal democratic traditions and values, geographic closeness to the Asia–Pacific region and the social and cultural influences of the millions of migrants who have settled in Australia since World War II. Australia is a product of a unique blend of established traditions and new influences. The country’s original inhabitants, the Aboriginal and Torres Strait Islander peoples, are the custodians of one of the world’s oldest continuing cultural traditions. They have been living in Australia for at least 40 000 years and possibly up to 60 000 years. 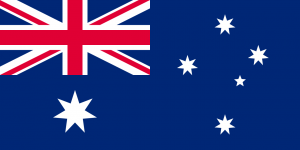 The rest of Australia’s people are migrants or descendants of migrants who have arrived in Australia from about 200 countries since Great Britain established the first European settlement at Sydney Cove in 1788. In 1945, Australia’s population was around 7 million people and was mainly Anglo–Celtic. Since then, more than 6.5 million migrants, including 675 000 refugees, have settled in Australia, significantly broadening its social and cultural profile. Today Australia has a population of more than 21 million people. More than 43 per cent of Australians either were born overseas themselves or have one parent who was born overseas. Australia’s Indigenous population is estimated at 483 000, or 2.3 per cent of the total. Many of the people who have come to Australia since 1945 were motivated by a commitment to family, or a desire to escape poverty, war or persecution. The first waves of migrants and refugees came mostly from Europe. Subsequent waves have come from the Asia–Pacific region, the Middle East and Africa. Migrants have enriched almost every aspect of Australian life, from business to the arts, from cooking to comedy and from science to sport. They, in turn, have adapted to Australia’s tolerant, informal and broadly egalitarian society. In most practical ways, Australia is an egalitarian society. This does not mean that everyone is the same or that everybody has equal wealth or property. But it does mean that there are no formal or entrenched class distinctions in Australian society, as there are in some other countries. It also means that with hard work and commitment, people without high-level connections or influential patrons can realize their ambitions. All Community Physiotherapy Services (CPS) run weekly and emphasize balance, flexibility, strength, posture, functional and cardiovascular ability. They also include health education and advice on relevant issues such as falls risk reduction, posture, back care, continence and home exercise programs. If recently discharged from hospital these classes may provide an opportunity for people to continue with their hospital exercise program in the community. are supervised by a physiotherapist. are suitable for individuals with multiple health problems. provide education sessions and promote self-management. are delivered at minimal cost to the participants. are provided throughout the Perth Metropolitan area thus located closer to individuals homes and promotes independence from Secondary and Tertiary services. Some of these programs include the Healthier Ageing Program (HAP). HAP is a 10 week exercise and self-management program specifically designed for older adults, or younger adults who may have specific exercise requirements due to a medical condition and are unable to access other physical activity options. The program is designed to teach clients how to manage their own health issues, and how to safely access physical activity opportunities within their local community. has signed the conditions of participation. A 10 week exercise and self-management program specifically designed for people with cardiovascular or neurological conditions; respiratory disease, arthritis, osteoporosis, orthopedic conditions, poor balance / falls risk, diabetes, or general deconditioning following hospitalization. The program is circuit based, and aims at addressing client’s individual needs. has been referred from another CPS program. Primary prevention exercise and self-management program for people aged over 75 years to reduce the risks of falls and maximize independence. It is also suitable for people who have completed one of the 10 week programs and require further physiotherapy supervision with exercise due to their medical problems. The program aims to maintain people's independence at home through maximizing their health and mobility. A specialized exercise and self-management program designed for people with chronic disability, particularly those with neurological conditions and reduced mobility. The program focuses on functional ability and maintaining independence at home and in the community. The emphasis is on maintaining or improving exercise tolerance, strength, balance, coordination and posture. As the exercise is conducted in a group, a certain level of independence is required, or a carer may be asked to attend. does not currently receive rehabilitative physiotherapy or is soon to be discharged. A 10 week exercise and self-management program for people who may find weight bearing exercise difficult or who have medical conditions that benefit from exercise in water. The program is very suitable for non-swimmers. Water provides a safe environment for clients to maximize their ability to exercise. Those with a fear of falling can exercise with less risk and improve their balance in one of our water balance groups. has a medical condition that will benefit from warm water movement. A completed Community Physiotherapy Services Referral/Medical form is required to participate in the program. Health services in Australia are universal. The federal government pays a large percentage of the cost of services in public hospitals. Where the government pays a large subsidy, the patient may have to pay the rest out of pocket. However, individuals are encouraged to purchase private health services. The government achieves this through a surcharge in tax at which an individual above a set income level are penalized for not taking out private health insurance, and a means-tested rebate.